I've been around the GamingSteve forums since I first heard about Spore through one of Steve's podcasts somewhere in the year 2005. (The exact date is probably on my profile page for these forums). I've checked in on a regular basis, tried to find some new information, left to do other things and came back again some time ago to get in with the Spore craze..
Now that the Creature Editor is here, I'm having the time of my life. The only thing missing is a working copy of Spore itself, with all the editors, but hey: I guess I can easily enjoy myself for the coming months until the game comes out.. So far I've mainly been trying out things (first with the free demo and now with the full version), looking at other people's creations and trying to garner some inspiration from all sorts of sources..
You can also find my creatures by searching for 'Jarno', which is my first name and probably a little easier to remember if your native tongue is anything other than Dutch. Furthermore, I also list 'GamingSteve' in the tags, so you're bound to come across them eventually if you use that search phrase.. In this topic I will post the creatures I've made so far. I'll continually edit this post to show them off all at once. In the next few posts and throughout the topic, I will post screenshots, videos, background information and links to the Sporepedia article. 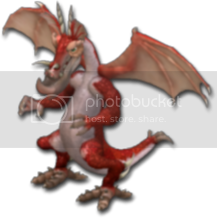 If you'd like to save the creature, simply drag the thumbnail of the creature of your choice directly from your internet browser into the Spore Creature Creator.. Thanks for stopping by! Feel free to leave any comments, (constructive) criticism or other writings! In this post I will display close-up screenshots of the creatures I've included in the first post. The thumbnails, and even the larger pictures on the Sporepedia can sometimes give the wrong impression or even obscure certain parts of your creatures, so that's where these screenshots can come in handy! The Narfalûd is one of the fastest sprinters of the planet Plareides III. It generally feeds on anything from plants to small animals and is often considered a prey by the larger animals of its homeworld. The Taxideichas is the great hunting reptile of the planet Dalidaxes IV. Diving out of the thick bushes and heavy foliage, this four eyed monstrosity can easily catch careless prey. Approach carefully. The Triclorus is Parbadon II's most fearsome predator. Armed with four razor sharp claws and protected by an armoured tail and a 'neck collar', the Triclorus can handle almost anything the hostile volcanic world challenges it with. The Chibche, named after the chirping sounds this terrifying insect makes, is a very fast, silent killer. Protected by a very effective camouflage for the water world Sigmarianus V, the Chibche lurks near the waterfront to attack unsuspecting targets.. The Tarifides is an unusual creature, even for Oritylus II. With its three legs, four eyes and many spikes, it is almost a miracle this creature managed to stay on top of the food chain. Tarifides is aggressive and notoriously shifty. Beware! The Hirolax lurks in the swamps of Prialus, the moon of a gas giant in the Hralicos system. Usually only seen with its single eye, spitter and flexible spikes above the water, it blends in perfectly with the weeds and rotting plants. The Xorifal is one of Ligartolia's many predators. With its heavy club and dual slashers, it usually manages to take out its prey relatively quickly. Its main disadvantage is its single eye, which allows competitors to sneak up behind it..
With the lower part of its body camouflaged by the planet's tall grass, the Sarodaliant looks eerily similar to the dominant herbivore species of Kolius VI, allowing it to approach its prey before they realize their mistake. Gratharion is Raquria IV's dominant herbivore. Timid and shifty, it is constantly on the lookout for potential predators. Very protective of its offspring, this creature is best left alone when accompagnied by young.. The Zarthalusi is a recent evolutionary leap forward from its aquatic cousin. Retaining a long neck and obsoleted fins used for cooling the body, its watery ancestry is clear. The Zarthalusi are the dominant species of Rafaturi VII. The Prrilazz (its actual name is unpronounceable to humans) is the most dangerous creature on Trzeizax IX. It feeds on almost anything with a pulse and is extremely hard to kill, although nukes from orbit tend to do the job quite well.. The Warkal is one of the most curious creatures of Barpotal VIII and has a tendency to kill everything it is curious about. Best to observe from a distance therefore.. The Marwofim, despite its looks, is quite shy and tends to be reclusive. Its appearance has a tendency to repulse any potential attackers. If the attacking party is persistent, the Marwofim can easily defend itself against most threats. The Hazachee are powerful, tusked raiders. They have a tendency to attack smaller creatures and generally withdraw when the odds are unfavorable. Highly social and very intelligent, they seem a likely candidate for climbing the evolutionary ladder.. The Wayanenha is a reasonably social, somewhat shy native of Rusulku II, where it tends to graze and run from predators. Devoted to its herd, the Wayanenha never leave a member at the mercy of predators and will attack if provoked.. Still a bit unfamiliar with its new surroundings, Carnaton is clearly descended from one of the many aquatic species of Portasic II. Now landbased, Carnaton faces the difficult challenge of landbased hunting..
Londiratul is the dominant herbivore of Yridal VIII. The purple coloration of the atmosphere and all the plantlife, has allowed Londiratul to evolve mostly unmolested by predators. It is very fast and can deal quite a defensive punch, but tends to be shy. The Rivatarir are solitary hunters, with a tendency for brutality and violence. The moment one of them appears, creatures dive into their holes or run for the hills. Armed with excellent senses and fearsome weapons, Rivatarir makes killing look easy.. The Ravitok is descended from small birds left the trees to try their luck on the ground. Traces of its former flight are still visible in its useless wings, feathered back and beak. Other than that, it's a harmless (although very imposing) herbivore. The Ragnart, named after its distinctive snort, is native to the desert world Privaloz II, where it spends most of its time hunting small reptiles and amphibians and hiding away from the blazing heat..
Harklion is the largest and most terrifying instectoid hunter of the planet Tyflagort II. With its six feet, powerful claws and strong jaws, it outruns and outclasses almost any other creature, leading to many frightened screams whenever one comes near..
Fruhlakiri is the top of Praktor V's foodchain. Highly skilled at stalking, it can approach prey before it even knows what's coming. Its three muscular legs ensure high speed and maneuvrability and its four claws make short work of even the toughest foes..
Crowmagul lurks in the thick grass of Unaputt IV, hoping to catch unsuspecting prey off guard and lock its three powerful jaws around its legs for a little nibble. Explorers are adviced to stay airborne. 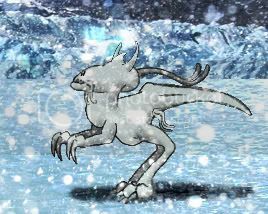 The 'Ice Demon' is the most efficient hunter of the frozen world Dardiria, where it thrives because of its high body temperature and excellent camouflage. They lie down in the snow, cover themselves in it and then jump out to chase their wooly prey..
Harthor is the dominant herbivore of the frozen plains of Dardiria, where it is hunted ferociously by the Ice Demon. Evolved to protect itself, Harthor sports four large hourns, four short tusks and a backbone protected by a row of boneplates..
Like I said before, feel free to offer your opinions, tips and criticism! In this post I intend to post creature videos as soon as I'll get around to making them. Stay tuned! Thanks guys! I left comments on a few of your Spore creatures as well.. I was starting to wonder if anyone was noticing my creations! @Pietoro: The thumbnail unfortunately doesn't really do Marwofim justice, so I'm surprised you like it! I think it's hilarious how people's tastes differ so much. I like Marwofim, but personally I'm not a big fan of it..
@K3rnan: Double thanks! For the comments here and for the comments over at the Sporepedia! Like I said above, I think it's great to see how people's opinions about certain creatures can be so different. Wayanenha was basically just a tryout to see if I could do something else than a lizard / reptile / dinosaur / aquatic creature and I wasn't very happy with it when I finished.. Glad you like it nonetheless! Now, without further ado: here are three of my most recent creatures..
Again: thanks for the comments! They're really appreciated! EDIT: I've edited this post to prevent the topic from getting too cluttered. Extended info on the Harklion, Fruhlakiri and Crowmagul can now be found in the second post of this topic. As you may have noticed, I decided to rearrange the topic to allow for the thumbnails to take center stage in the first post, more detailed, close-up screenshots to be posted in the second post and videos (that I intend to make in the future) to be posted in the third post. From here on out, I will make occassional posts like this where I display a few recent creations, but in the mean time I will continually update the first and second post and the third post when needed..
For today I have two more creatures to display! Note: As a bit of background information, I actually designed the Ice Demon long before the Creature Creator came out, using a program called Creature Editor 3.0. I posted the Ice Demon on October 3rd 2007 and happened to run across it again this afternoon. After that, I decided to see if I could develop more of the Ice Demon's world, so I also designed its main prey, which is the next creature.. Currently I'm considering if I should develop the planet Dardiria and add more creatures to its list of species. It seems like an interesting project, so we'll see where it goes! In any case, let me know what you think of the new creatures and the new screenshots.. Feel free to tell me which creatures you'd like to see videos of and I'll see if I can get them made! As usual: thanks for stopping by! I really like how diverse all your creatures are. Really awesome creature. I've commented a few of them, I believe. Well, I decided to go ahead with making more creatures for Dardiria, resulting in a redesign of the Ice Demon (to fit with the other creatures), the addition of two more creatures that inhabit the icy world and a little surprise! Targanth is the second most dominant herbivore of Dardiria. The Ice Demons don't hunt it as ferociously as the Harthor, because it packs a heavier punch. Protected by armoured plates and eight huge spikes, Targanth can seriously injure careless predators. The Grizzleroo is Dardiria's dominant rodent. Constantly under threat of the Ice Demons, over the course of evolution they've developed multiple ears and eyes and due to its small size and fast legs has the ability to quickly sprint away in case of danger.. Thanks for your comments, Pietoro and OpDDay2001! Always nice to see people taking the time to spot by and drop a line! Don't forget to let me know which creatures you'd like to see in a YouTube video and I'll see what I can do! Jarno, these have to be some of the best creatures that i've seen. Every single creature that i've seen seems better and better! Well, after a little inactive spell; I've picked up the Creature Creator again and a few more creatures have been brought out into the daylight.. I haven't been able to take any detailed snapshots yet, so I'm afraid you'll have to do with these miniatures for the time being, but you can ofcourse also open the SporePedia entries and view the full sized creatures. Or you can go to http://www.spore.com/sporepedia#qry=usr-jarnomiedema and check out the list of creatures there.. In any case; enjoy! The Sunstalker is most active on the dry, dusty steppes of Haradar II, where it hunts small rodents and chews on tough bushes. This omnivore has evolved to be perfectly adapted to its hostile environment and could be a likely candidate for sentience.. This is also the creature I currently use for my avatar. Despite its three legs, Probialax is surprisingly fast. It's huge mouth filled with teeth is capable of eating just about anything, although it generally stings its prey with its mucus gland located on the tip of its overarching tail. The Kriiriit, a native of the jungles of Dampaf III, is heavily protected against attacks from larger, heavier predators and has the ability to outrun many of them. Its intimidating physique has discouraged many explorers from finding out more about them. The Rhamphoo are silent, deadly killers. Utilizing the low gravity of Ipadso VI, Rhamphoo hovers by rapidly inhaling and exhaling the steam eminating from the planet's many vents. The ocean is its domain, where it grabs anything that pops out of the water. Hmotisa is Phobos IV's dominant amphibian. It prefers to lie dormant under water (the creature's reservoir sacks allow oxigen to be stored for weeks). Nevertheless, Hmotisa frequently ventures out onto land and has become adept at hunting small mammals. Libarala distinguishes itself from the other species of Triadon II because of its speed, strength and ability to fly short distances in order to hit its prey from above. The Warlanth are one of the more aggressive species of Iragus IV. They dominate the skies and crash down frequently during their frantic hunt for prey. Their fearsome appearance hides the fact that they are very social and homely creatures..
Quatzerathos is a small omnivore that inhabits the blue / purple rainforests of Haritov I. Excellently camouflaged, Quatzerathos can easily capture prey smaller than itself or, when working together as a group, they are able to take down larger animals. The Nimbaraptor is famed for its distinctive plates and scales. Due to the planet's proximity to an orange gas giant, Targu III is bathed in an orange hue. Nimbaraptor has adapted to this environment and is excellently camouflaged. Zatimozita is an aggressive, intelligent species of insects living in gigantic hives on the planet Jajitajh. Venturing out only from dusk till dawn due to the extreme heat of the planet, Zatimozita is perfectly adapted for hunting at night. The Rhamphar are silent, slow killers. Utilizing the low gravity of Ipadso VI, Rhamphar hovers by rapidly inhaling and exhaling the steam eminating from the planet's many vents. The forrest is its domain, where it grabs anything that lurks in the treetops. This creature is a slight modification of the Rhampoo. Balanthos is one of the gentler species of Tyrfanon II, where it spends it time grazing the wide open grasslands. Their knobs fill with blood at the sight of a predator, providing an intimidating display of colour. Their horns are meant for self defense. Triceraptor could be considered a missing link between the Triceratops and the Velociraptor, if only this creature wasn't discovered on another world. In any case, explorers were fast running out of names, so they decided to go with the most obvious..
Kyrion is a recent evolutionary leap forward from its aquatic ancestors. Patrolling the shores near the sea, Kyrion packs nestle in caves and hunt small mammals that dare to venture too close to the ocean. Phew.. Well, that's what you get when you let more than a months worth of creatures go unposted at the GamingSteve forums! I hope you enjoyed that and saw some creatures that you like and wouldn't mind seeing in your game when it comes out next month. I'd love to hear some tips, tricks, comments and / or criticism! Oh, and as some of you over at the Sporepedia already know; I always repay the comments and ratings that are given! It's been a while since I last posted here (almost two months), but I thought I'd start it up again after my recent space vehicle streak.. There's a lot of stuff that hasn't been posted here yet, so if you're interested, be sure to go to my creations list here: http://www.spore.com/sporepedia#qry=usr-jarnomiedema.. Here are my most recent creations, all within a relatively similar theme.. After finding out a particular way to build an engine, I just had to try it out in different variations.. The Interstellar Cruise Liner 'Gigantica', operated by the PanGal Travel Bureau , offers you all the exclusive sights this galaxy has to offer! All the experts agree; this ship is indestructable (Opinions may vary). So come aboard and join in the fun! The Imperator Class is one of the fastest ships in the known universe. Powered by green spice, this ship can outrun almost anything. Its weapons aren't as powerful though, so that's why this ship comes equipped with two escape pods as well.. The Exodus Class Battlecruiser is the Admiralty's greatest asset during times of war and has been able to turn the tide of battle on more than one occasion. The Arcadus Class is a lightly armed, incredibly fast merchant ship, designed to carry cargo in bulk from planet to planet or between solar systems. Most frequently it carries spice to sell to neighbouring factions.. The Genesis Class Troop Carrier is one of the most important secondary ships in the Admiralty's fleet. Transporting four landing crafts capable of carrying 500 marines or four mechs each, this ship can deliver substantial blows to enemy colonies. You can bet there'll be some sweaty palms on the planet below when this thing jumps into orbit.. The Genesis Class Troop Carrier can be found here: http://www.spore.com/sporepedia#qry=usr-jarnomiedema%7C2263082025%3Asast-500137748481.. I hope you all enjoyed that! Feel free to pay a visit, leave a comment and / or a rating and I'll be sure to get back to you! I love the drop ship. Excellent use of decorative and mechanical part. I also love the contrasting colors. Thanks for your comment, Techleo! Here's a little something I created a few days ago.. The Galactica, known affectionately as 'The Bucket', is a colonial battlestar that saw action in the First Cylon War and was about to be retired before the Second Cylon War broke out. Commanded by William Adama, the Galactica is searching for Earth..